Captivating Expressions of Praise for Piano. Composed by Todd Beaney. Sacred. Lorenz Publishing Company #70/1744L. Published by Lorenz Publishing Company (LO.70-1744L). 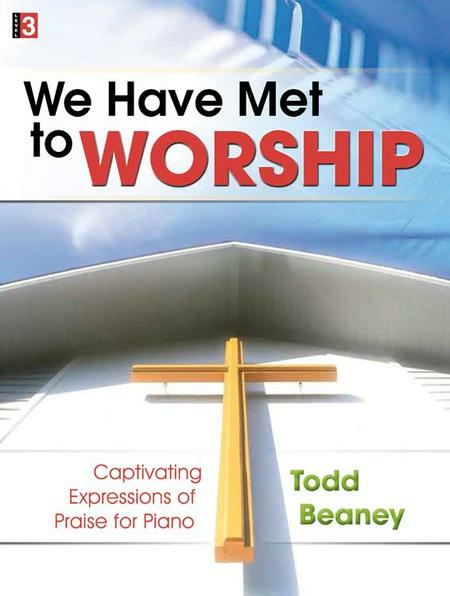 Moderately Advanced - Todd Beaney's challenging, engaging hymn arrangements breathe new harmonic and rhythmic life into familiar tunes, and, as in his previous books, he includes several brand-new pieces that are sure to become favorites for your congregation. "We Have Met to Worship" is a must-have book of vibrant new service music for the pianist who enjoys exploring new territory.